The field trials for my first research project got under way last week! 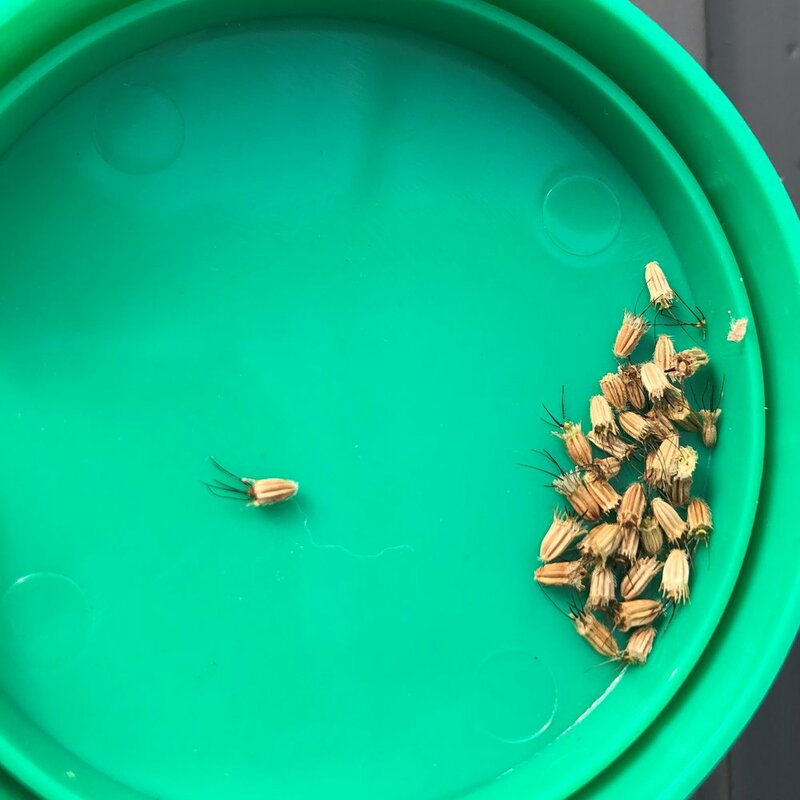 I have created four (4) custom seed mixes using ecological criteria for species selection to maintain long-term diversity and prevent weed invasion while managing aesthetics at every stage of community development. We’ll be measuring plant community dominance for each of these over the next two years. Soil sieves worked great to distribute the seed mixes evenly over each replication. We started sowing last week. 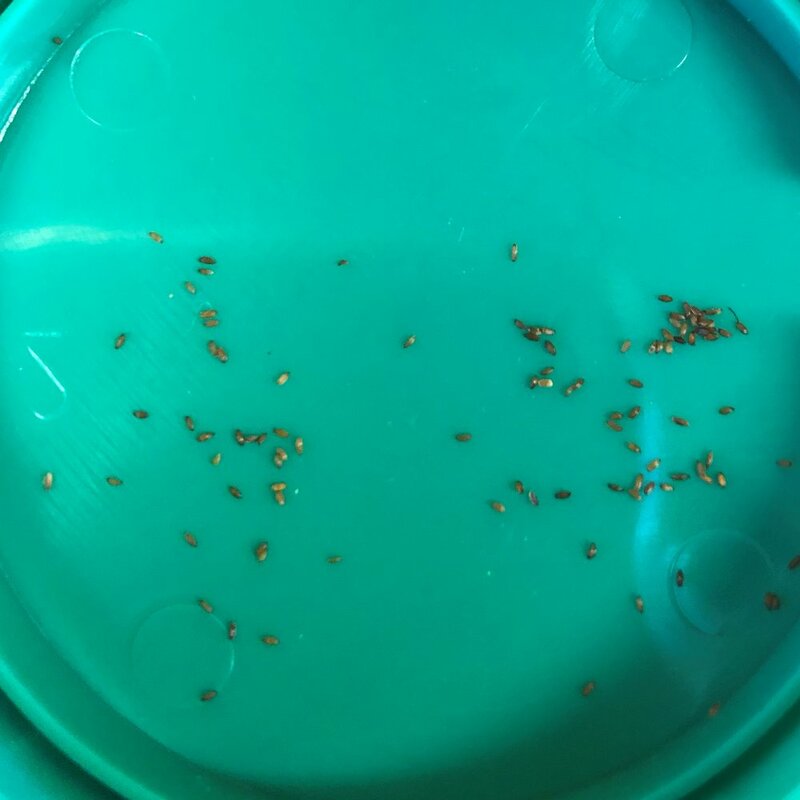 The species we’re working with are forbs and grasses with extremely small seeds, approximately 120 seeds per container, which amount to less than a teaspoon of seed for each container! In order to avoid accidentally dumping all the seed in one spot, we bulked up the mix with an inert carrier (coarse sand). Initial dominance is very important to a successful implementation of the community. In order to keep weeds at bay, species from the mix need to dominate the initial stage, which means we need even coverage and a specific proportion of quick-cover plants to out-compete weeds. The remainder of the species in the mix is meant to take over the planting over the longer term, so they’re sown in smaller quantities relative to these other “pioneer” species. Susan, carefully spreading the seed mix over the mesocosm container. Trial data is being posted in real-time through our project website, please check it out! You can find up to date data that’s being collected for the project, giving you a front seat to the project results. Stay tuned!